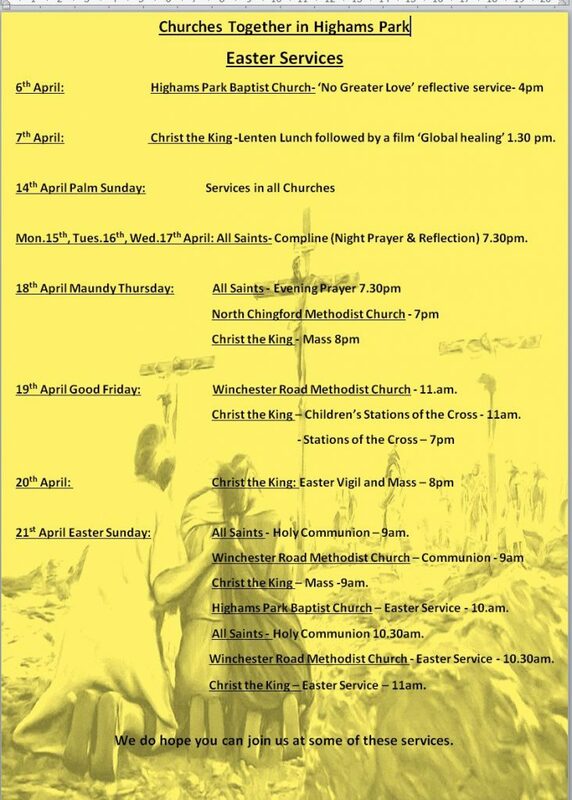 The website of Winchester Road Methodist Church.. Here at Winchester Road we try and lead active and lively worship services so that everyone can meet and know the living God and we are doing our best to be an inclusive church aiming to engage with the life of our local community. I’ve used the word ‘try’ and ‘doing our best’ because we’re not perfect.You’ll see on this website how we are blessed to have some great children’s work, including the uniformed organisations and Sunday School. At the other end of the spectrum we do a lot for the elderly and vulnerable in society, especially through CARE, a local ecumenical charity. Of course if you are somewhere in between, there is plenty for you as well. Do take time have a look around, especially at The Hub. This is a very exciting project which will enable us to serve our local community even better than we do now. Good Friday 11 am (no Walk of Witness this year). Easter Sunday 9am Holy Communion. 10.30 am Easter Sunday Service.